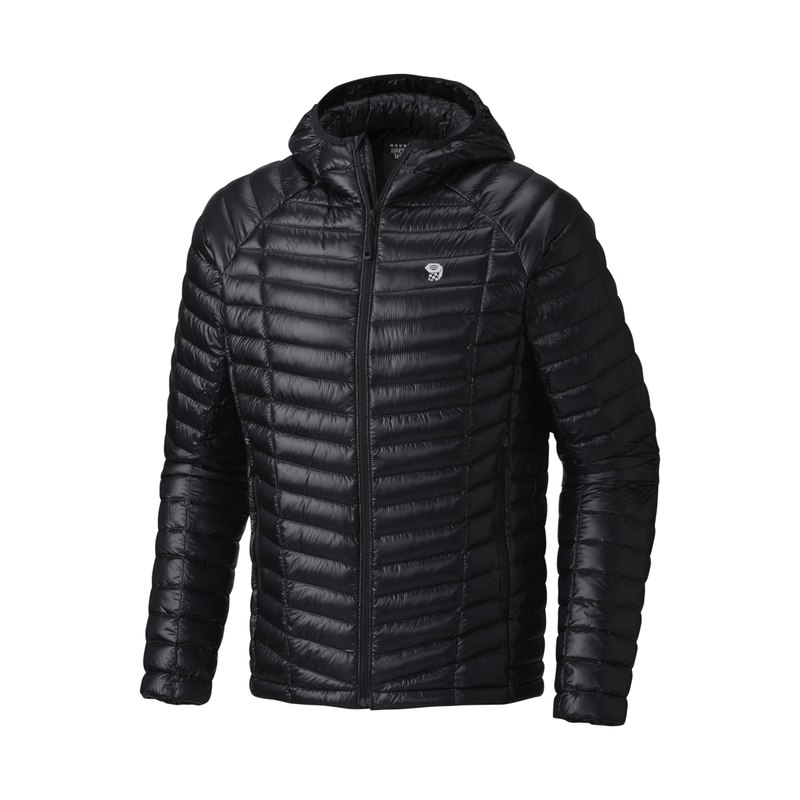 The Mountain Hardwear Ghost Whisperer Hooded Down Jacket is an award-winning ultra-light, water-resistant down jacket that’s ideal for skiing, mountaineering, ice climbing and pretty much any other alpine activity. 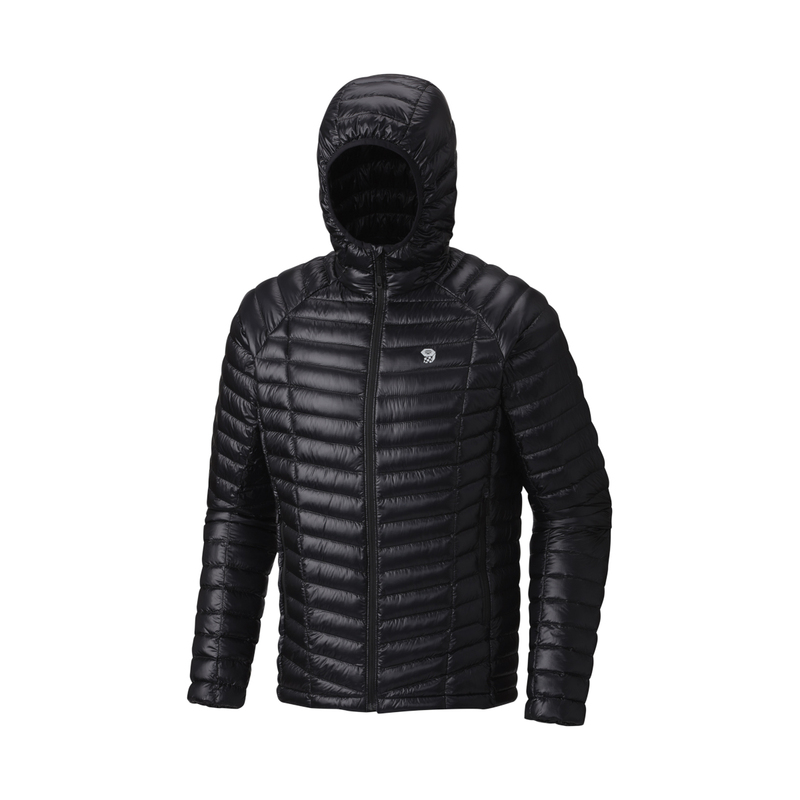 The Mountain Hardwear Ghost Whisperer Hooded Down Jacket is reportedly the lightest down jacket in the world, as well as one of the warmest and most packable. 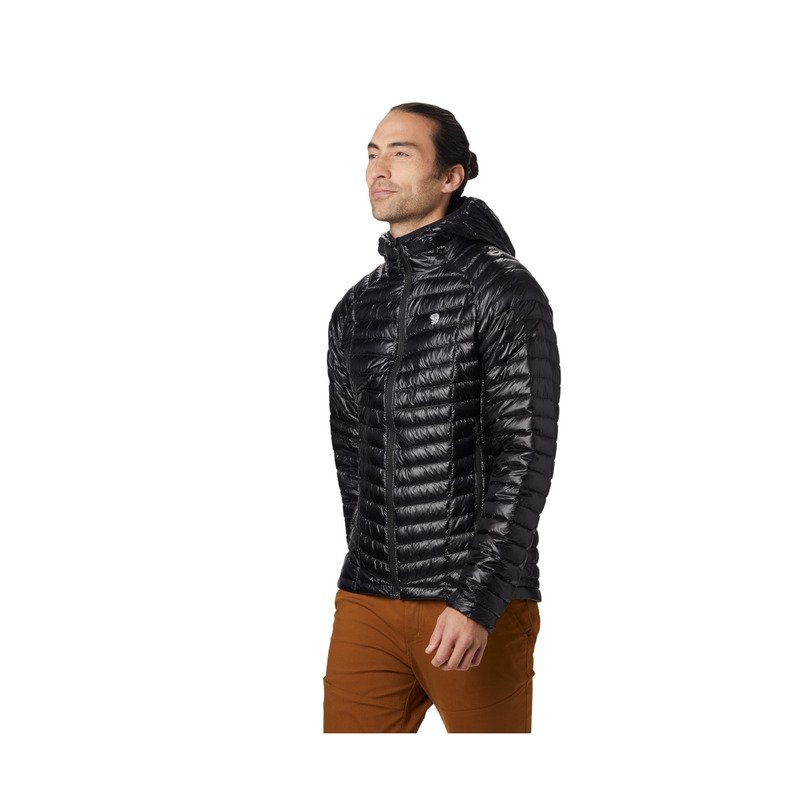 Made from the exclusive Ghost Whisperer fabric and insulated with Q Shield water-repellent down, it will keep you protected whether you wear it on its own or as a mid-layer. Elsewhere, this jacket keeps it simple, with a motion-friendly fit, soft elasticated cuffs and an inner toggle hem. It also packs into one of the hand-pockets, which has a carabiner loop for easy transportation when you're climbing or mountaineering. 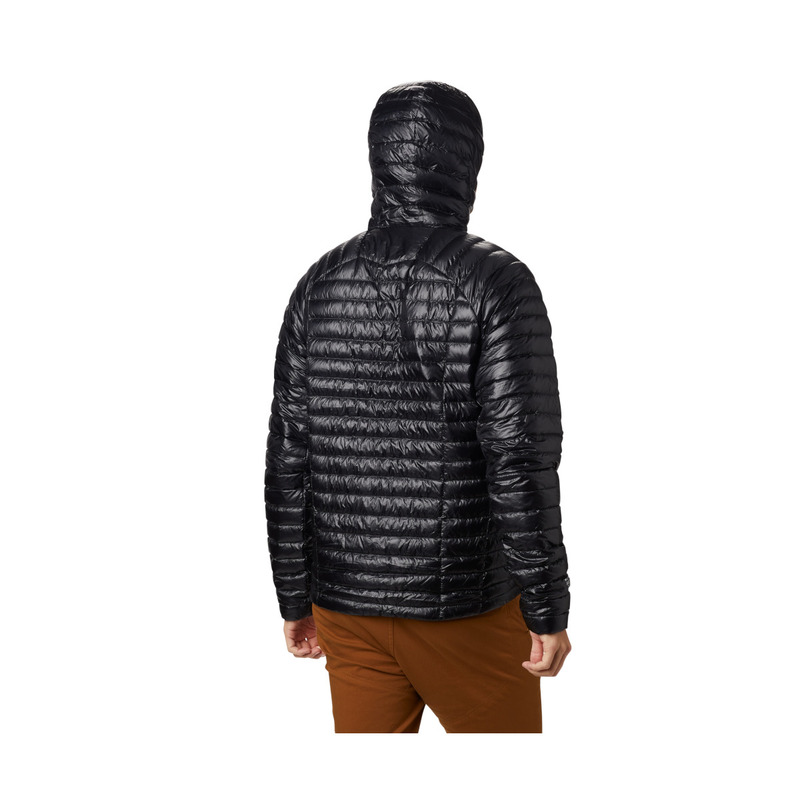 Ghost Whisperer Fabric was developed by Mountain Hardwear and is made of such a tight weave that only one mill in the world can make it. 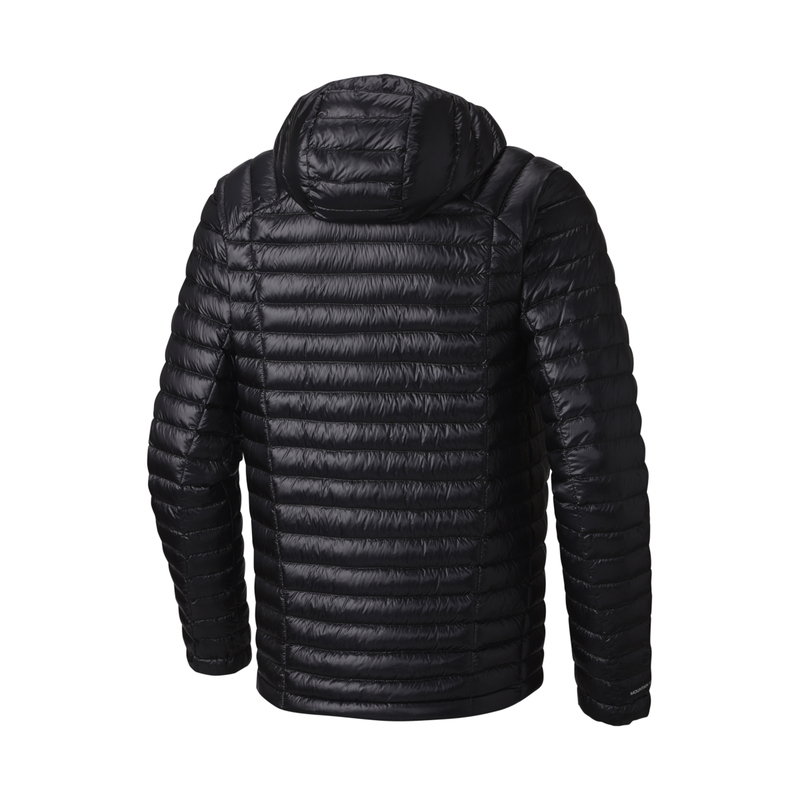 It is made by tightly weaving incredibly fine fibres together to create a fabric that’s highly waterproof, windproof and downproof. The fine fibres used mean that it’s one of the lightest fabrics in the world, but the tight weave also makes it strong and durable. Q Shield Down is the next step for Mountain Hardwear’s innovative waterproofing technology. As well as being applied to outer-shell fabrics, it can also be used to waterproof down fibres to make the down a more effective insulator. It works by molecularly fusing the fibres with a water repellent coating so that it can still perform well if it gets wet. Q Shield is a revolutionary waterproofing technology, created by Mountain Hardwear. It is a water repellent coating that is fused into the outer layer of a fabric on a molecular level. This means that it will repel water as long as the fabric lasts, so your clothes will never get waterlogged. The Mountain Hardware jacket can be packed down and stored in one of its pockets, so you can easily store it in your pack or clip it to your rack. 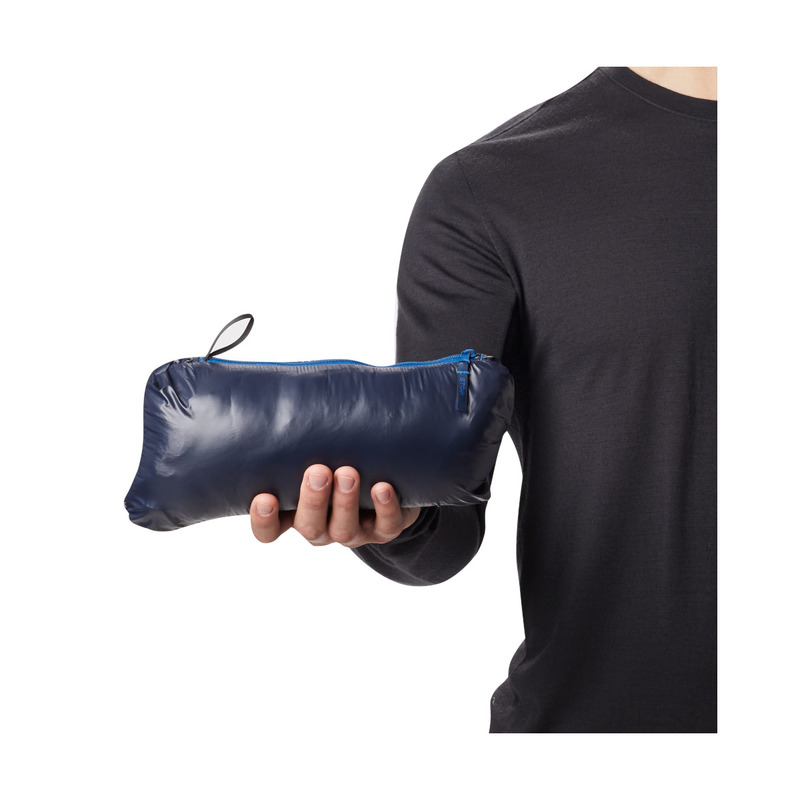 This saves loads of space and makes jackets with this feature the ideal just-in-case items for climbing, ski touring and mountaineering.